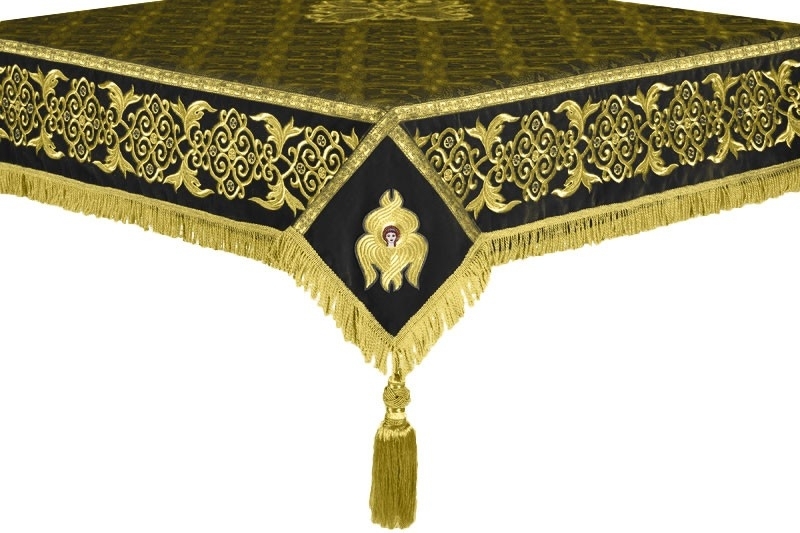 Are you looking for richly decorated black-gold Holy Table covers? 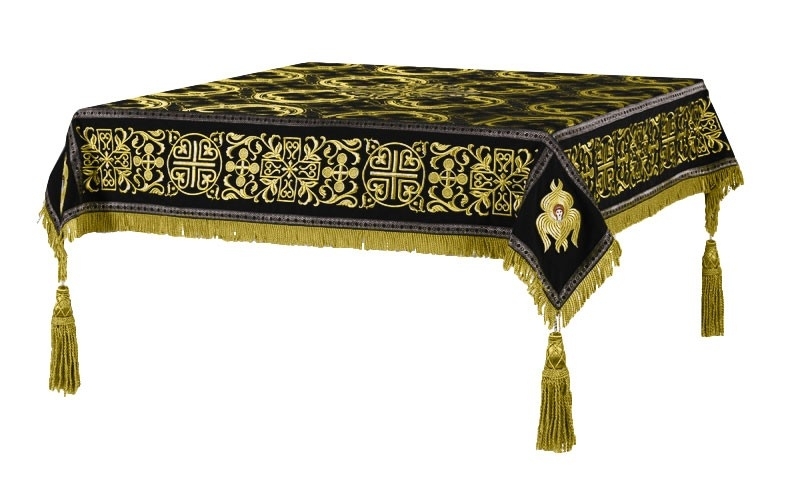 Whether you’re outfitting your Orthodox Christian church for the first time or you’re looking to replace an existing Holy Table cover, Istok Church Supplies has an impressive collection of black-gold Holy Table Covers that are perfect for symbolizing the glory of God’s Throne. 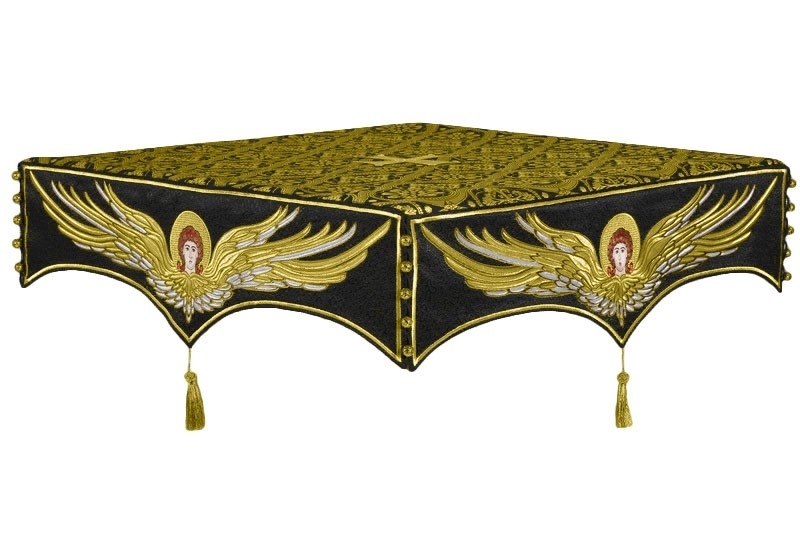 It’s natural to be looking for a stunning Holy Table cover as this article is an important focal point at the Holy Altar. 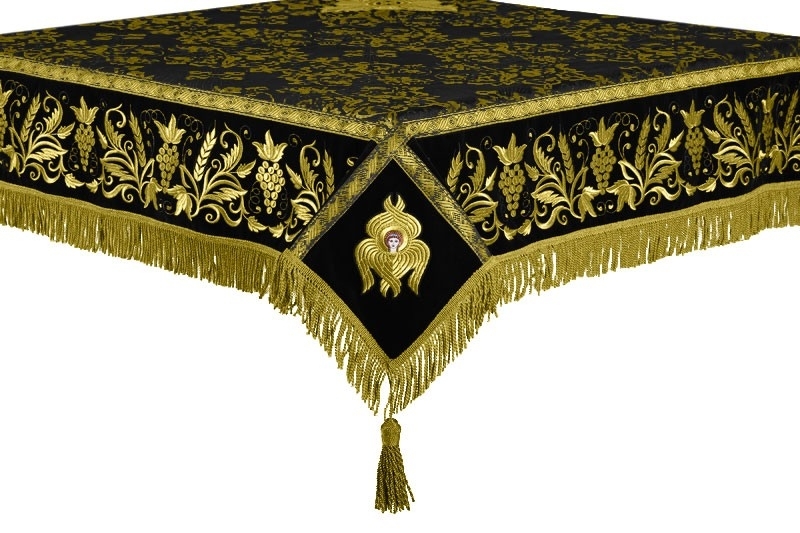 We work with trustworthy suppliers to offer black-gold Holy Table covers in lavish fabrics such as brocades and silk. These covers feature a wide variety of tradition Christian themed patterns that enhance their beauty and value. 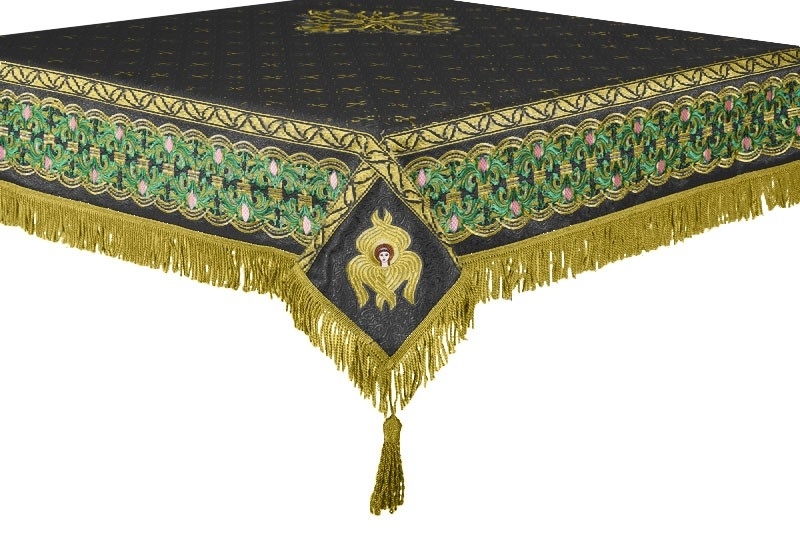 Our black-gold Holy Table covers are ideal for use during weekdays of the Great Lent as they bring out the solemnity of the season. We also have exquisitely hand-embroidered Holy Table covers that are made using finest quality threads of various colors. Embroidery designs vary from simple floral patterns at the corners and center of a cover to intricate patterns all over. We employ the best ecclesiastical embroiderers who approach the work of creating these masterpieces with seriousness and complete devotion. 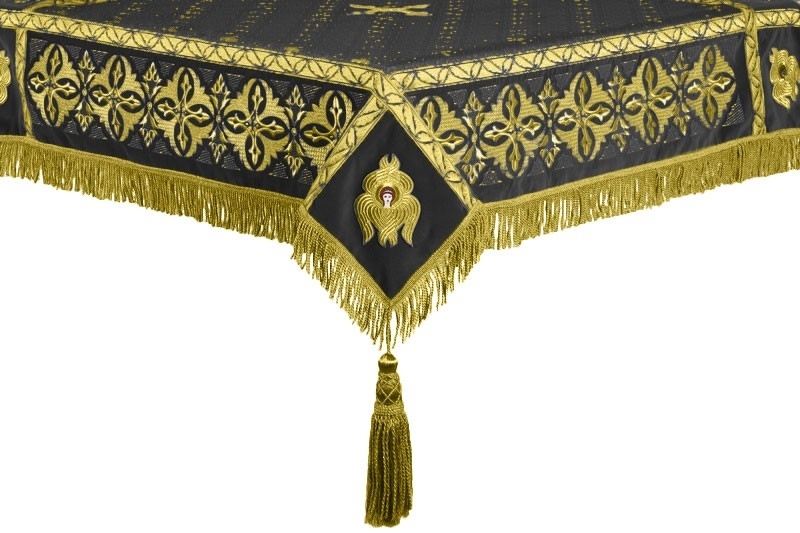 We provide adornments for our Holy Table covers in the form of tassels and galloons which are of very high quality. Customers have every opportunity to purchase a Holy Table cover that comes within their budget. Prices for these church vestments range from just over sixty dollars to over nine hundred dollars and there’s no compromise on quality or durability whatsoever. We’ve mentioned prices for a 55”x55” Holy Table cover but get in touch if you would like to make a custom order. We ship to different geographical regions, so feel to order from our selection of best quality Holy Table covers at reasonable prices!